The UFC charges $64.99 for its pay-per-views. At 2 million sales, that will mean Khabib vs. McGregor could gross roughly $130 million in pay-per-view revenue alone. The UFC normally comps its fighters’ free tickets for its shows, but Khabib vs. McGregor will be an exception. Daniel Cormier, the UFC heavyweight and light heavyweight champion, purchased two tickets at $7,500 apiece. And he won’t even be in the prime seats, since the top tickets that night at T-Mobile Arena have gone for $10,000 apiece. Here is the kicker, though: White isn’t ruling out the possibility of selling 3 million pay-per-views. While the official number for the Floyd Mayweather vs. Conor McGregor fight last year is 4.4 million and is a company record, the UFC has never promoted an MMA card that has hit 2 million. At 3 million, Khabib vs. McGregor would come close to doubling the biggest UFC pay-per-view shows. Because the fight wasn’t finalized until Aug. 3, the UFC didn’t get an early start on promoting Khabib vs. McGregor. 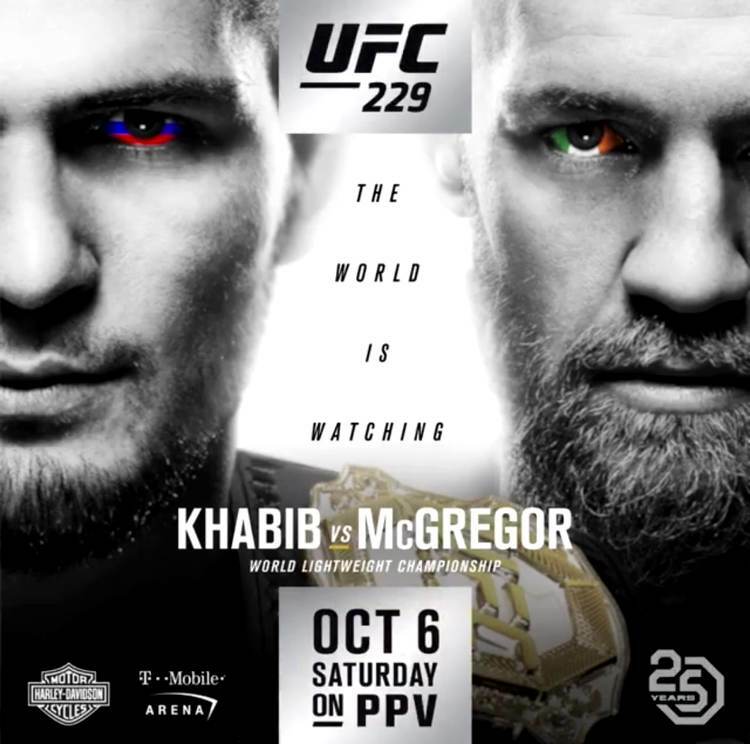 But it will have a huge late push in the final two weeks that will work in its favor, as fans will be inundated with it as the fight draws closer. Though the Logan Paul vs. KSI fight seems to have been a success with 800,000 sales, it was actually disappointing given the built-in audience they had. Logan Paul has 18.3 million YouTube subscribers and 4.7 million Twitter followers. His brother, Jake Paul has 16.7 million YouTube subscribers and 3.29 Twitter followers. “I was around then; you were around; no one gave a [expletive] about Floyd Mayweather when he was ‘Pretty Boy Floyd,’” White said. “He couldn’t sell pay-per-views. He couldn’t sell tickets and his fights were boring. They were defensive fights nobody wanted to see. What does he do? He puts the whole shtick of ‘Money Mayweather,’ throwing money around and all this, and he played the press like a fiddle. Like a fiddle.